Brewery enquiries: If you have a brewery related query you may well find the answer in A Century of British Brewers - Plus Plus: 1890-2012. Some further guidance can be found on our page Exploring brewery archives. Otherwise please email: archives@breweryhistory.com. Queries are circulated to members via our Newsletter, and hopefully someone will be able to help. Breweries: View our Brewery pages. Here we will endeavour to publish more detailed information about selected breweries, including photographs and links to other pages. You can send contributions and photographs to archives@breweryhistory.com. Please confirm copyright status with your submissions. Brewery and Maltings Heritage: Find out more about the BHS / English Heritage project on 'The Brewing Industry', which provides information on all pre-1940 operating breweries, compiles a comprehensive list of historic brewery buildings, documents the industry’s archives, and undertakes a national assessment on the industry, in the form of a Strategy for the Historic Industrial Environment report (SHIER). For more information go to our Heritage page. Defunct brewery liveries: View our catalogue of surviving features of defunct breweries, including tiles, signs, etched windows etc. For more information go to our Defunct pages. Research Strategy: Read about the society's research agenda to guide future work. Please go to our page: Research Strategy. BHS Archive: The Society's Archive was held at the Birmingham Central Library, but has now been dispersed. Go to our Archive page for more information. Links: Visit our Links page to find links to many other sites of interest to the brewery historian. Breweriana and brewery collectables: We don't value brewery-related collectables. We suggest you contact the Association for British Brewery Collectables. Mike Peterson of that organisation is happy to provide information and valuations. 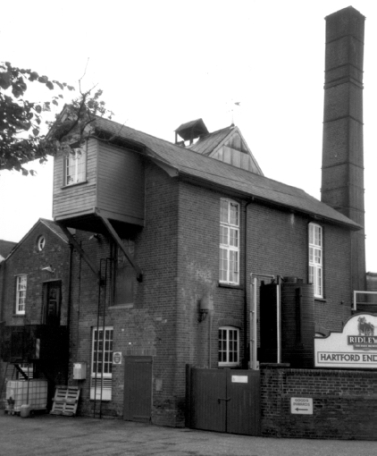 If you wish to send photographs of breweriana for our Archive, you may send them to archives@breweryhistory.com. Pub history enquiries: The Brewery History Society does not have records relating to pubs. If you have a query relating to pub history, there is useful information, including contact information, on the Pub History Society web site. Tracing pub and brewery ancestors: You can find useful information, including links to reference material, on the Pub History Society web site.